Courtesy, the International Research Council on African Literature and Culture, IRCALC, the journals of new poetry boost a good number of literary theses which testify to the dawn of criticism of poetry in Africa. Journal volumes have featured poems, more reviews and critical understanding which set the background for Africana studies in literature, with a Chat Forum created for exchange of critical opinions on African poetry and guaranteed to excite pundits of the genre. Indeed the journals of African poetry have come from an initial attempt to configure the character and major trends of new poetry in Africa. Truly revealing is the African worldview undaunted by the spatial demarcations of imperial British and French designs in a long exploited continent. What we now have is a truly spiritual landscape borne from collective, at once heterogeneous, yet often epochal, experience of Africa, and her contact with Europe which left her human parts ‘flung and scattered’ (Clark) across the whole of the hemisphere. Yet there are voices which, with their scholarly presentations from different parts of the world, have come to inscribe centrifugal variants of the new poetry. We daresay bringing these currents in singular continental consciousness is quite in order and, if stymied of locality politics, brings her closer to the unity which had always been the vision of modern Africa’s founding fathers. The Sixth edition of Journal of New Poetry comes as a tribute to Africa’s lady of song, Miriam Makeba. A fitting dedication to the symbol of African womanhood whose talents had served to place Africa and her music as foremost among its kind in the world. The Makeba Story here is a review of Mama Afrika’s own life story -an arrangement which makes the life and work of the late singer provide impetus for the study of the poetic and visionary crafts of Africa’s living and departed singers and poets. This volume takes historical, sociological, literary, aesthetic perspectives on the evolution, practice and emergence of African poetry and music as mutually reliant and dependent creative media of art in society. It proposes that music should weave naturally, and most perceptibly, with the religious functions of art in a social communion that holds greater purpose for individual and communal well being. The focus on poetry and music recognises the significance of both artistic forms to contemporary African experience. The Fifth edition of the 2008 Journal of New Poetry is appropriately tagged Rhythms of Conflict with the promise of greater relevance in the dynamics of poetry of the twenty-first century and its appreciation. Dedicated to Jack Mapanje, the distinguished Malawian poet and scholar whose verses had brought him incarceration in the Kamuzu Banda regime, the NP No. 5 hopes to challenge readers of African poetry with the aliveness of African art to the political and social concerns of the century. It continues the theme of War and Conflict Resolution in African Literature and throws further light on the poetry of National and Ethnic Africa. Theme Studies on the Rhythms of Conflicts have selected papers from Zimbabwe and Nigeria which add unique contemporaneous dimensions to the poetic expressions in Africa through songs, oratory and music. The Journal of New Poetry No. 4, dedicated to Nigerian poet, and cultural critic, Chinweizu, pays special attention to the Lianja epic of the Mongo in the Democratic Republic of Congo. The West Indian poetry of Edward Kamau Brathwaite, the poetry of Chinweizu, and some works of younger African poets like Oguibe and Kahengua to mention but a few, have also been accorded deserving footnotes in literary studies. ‘Our 2008 edition of our New poetry journal is even an improvement on our previous effort’, say the editors in the Preface. The Literary Chat Forum, absent in the preceding NP3 of 2007, is back in this edition. It features Nigerian poet and literary scholar, Joe Ushie, whose discussions with Ama Amoah and Mark Lilleleht bring us more knowledge about past and present Nigerian social conditions. “Griots of our Times” examines African contemporary poetics which will delight scholars of poetry world over. The reader will also find the review of three recent poetry publications from Canada, Namibia and Nigeria a revealing introduction to new trends in modern poetry. 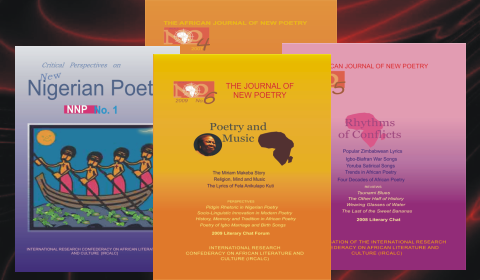 2006 Journal of New Poetry of African Expressions contains scholarly essay contributions and features new poetic expressions from Africa, America, Canada and the Caribbean islands. In addition, you will find the reviews of three poetry publications from Nigeria, Guinea Bissau and Jamaica an engaging study of literary trends from the African Diaspora. IRCALC Editors hope by this issue to cast further searchlights on African and African-American poetry, the broader perception of history and continuity apparent even from a glance at Africa’s contemporary poetry in so far as their entire historical (oral-written) contexts are deemed of importance for research and scholarship. This issue of the New Nigerian Poetry Journal, NNP goes with a brilliant dedication to retiring professor of English, Romanus Egudu, of the University of Benin in recognition of his contributions to the development of African literature (in general) and Nigerian poetry in particular. The NNP No. 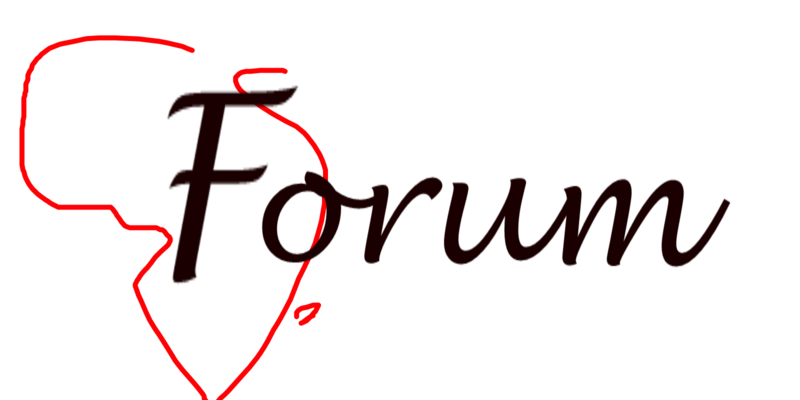 2 journal also presents a literary showcase: the Chat Forum hosted by project editor GMT Emezue where Nigerian poet and novelist Chin Ce debuts as guest. Other features include new studies of Nigerian poets such as Romanus Egudu himself, Ossie Onuora Enekwe, Odia Ofeimun and Ken Saro Wiwa.